The existence of a large number of crystal defects in polycrystalline Si(poly-Si) has a significant impact on its electrical property. 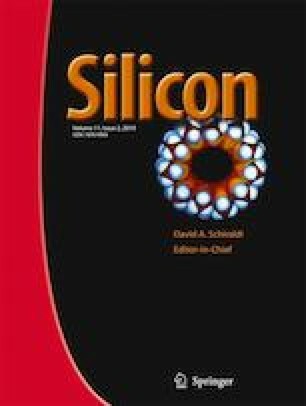 In order to solve this problem, this study adopts the industrially produced native efficient poly-Si wafers, with 120 s rapid heat treatment experimental conditions under different temperatures. The evolution of the poly-Si crystal defects such as the grain boundary and dislocation as well as the changes in the electrical properties of the samples before and after annealing have been analyzed.. The results show that the annealing process causes a significant reduction in the defects in the samples significantly and improvement in the electrical performance. After annealing at 1200 ∘C, the dislocation density of ploy-Si decreases to 710 cm−2 from 1120 cm−2, revealing a drop of 36.61%. Furthermore, a 1.62% reduction in the high Σ value (Σ27) grain boundary and 3.19% increase in the Σ3 grain boundaries. After the heat treatment, the minority carrier lifetime of the sample increases by up to 0.6 μs. In addition, the size of the grains increases and the dislocation density reduces while the grain orientation is not changed during the heat treatment. The results show that the performance of poly-Si does not linearly improve with temperature, but is related to the crystal structure of Si. The author would like to thank Dr. Liexing Zhou for the support in the EBSD analysis and Prof. Wei for the discussion about the experiment. This work was funded by the National Natural Science Foundation of China (61404063).